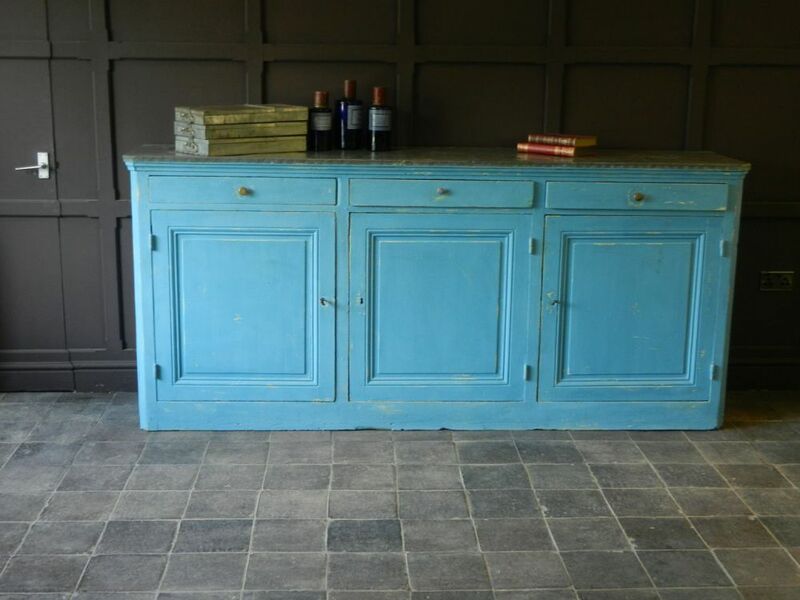 SKU: IFU 120 R. Category: Cabinets & Storage. 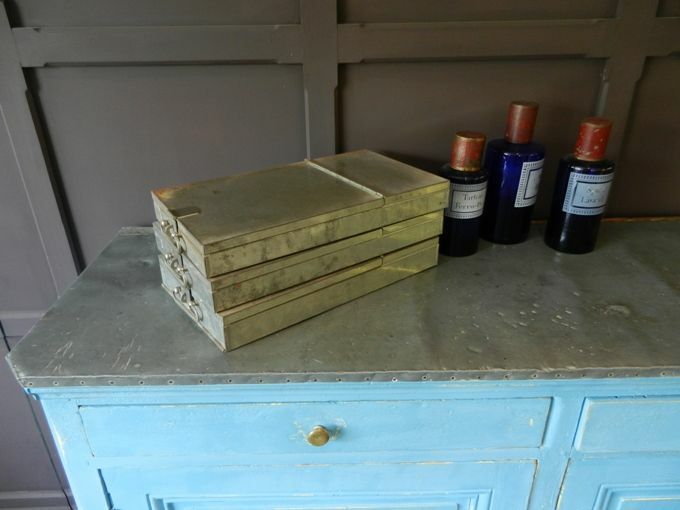 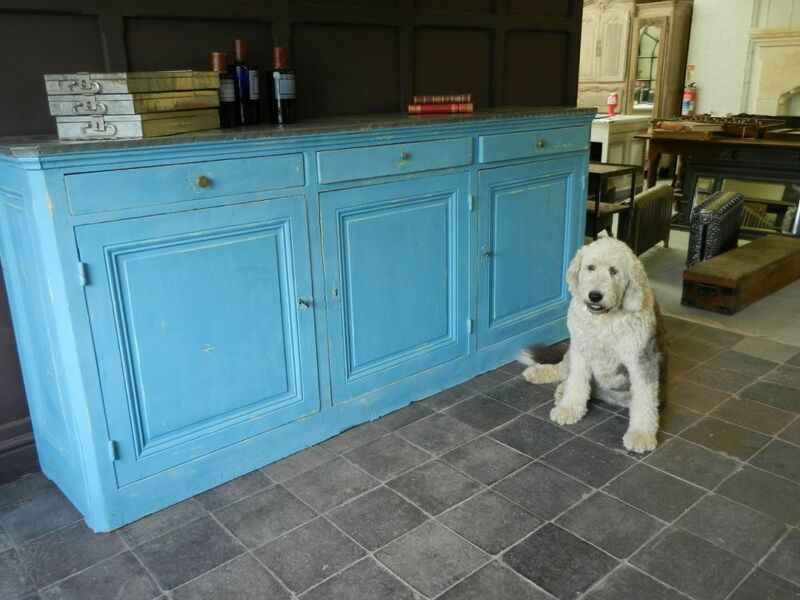 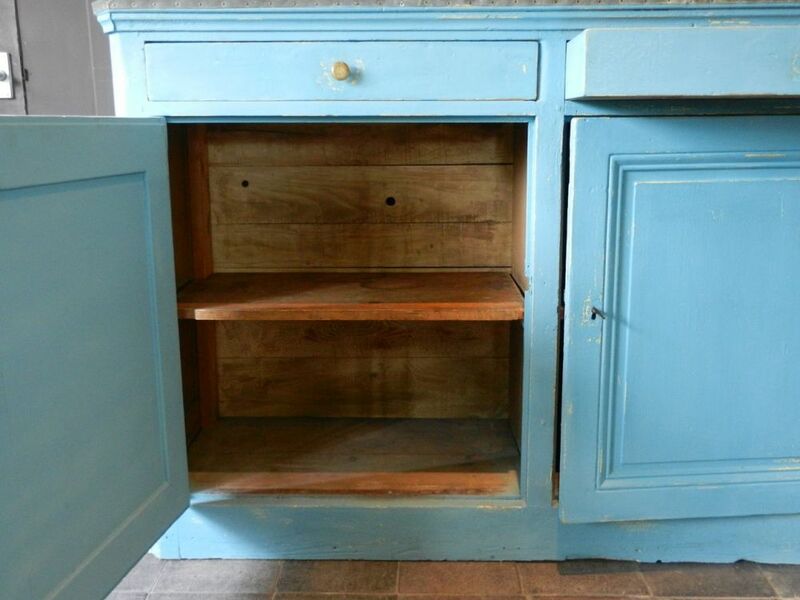 This pine kitchen cupboard unit is originally from France and has been painted blue with a zinc top. 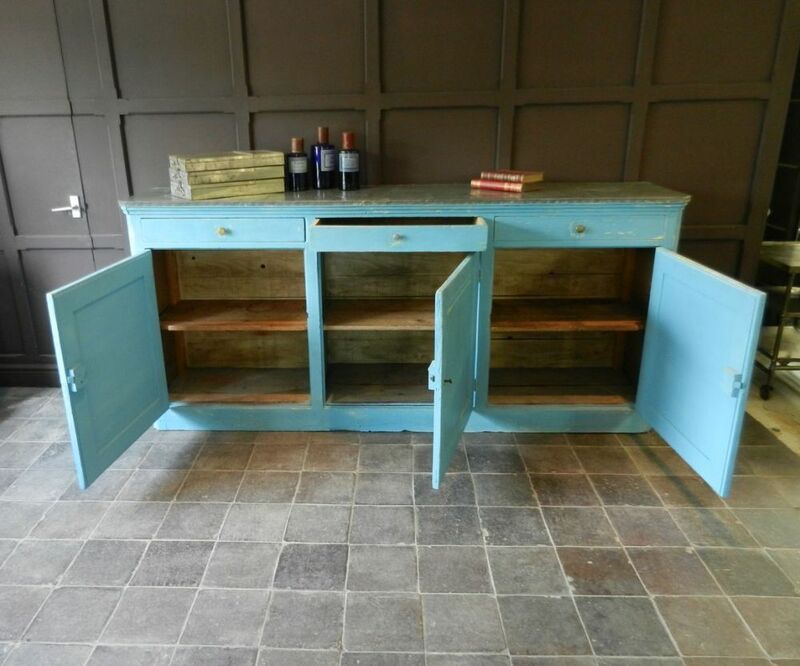 The doors have been made with fielded panels and the corners of the unit are chamfered with fielded panels on the return sides.